Home > Society for the Protection of Nature in Israel > We're Hiring! 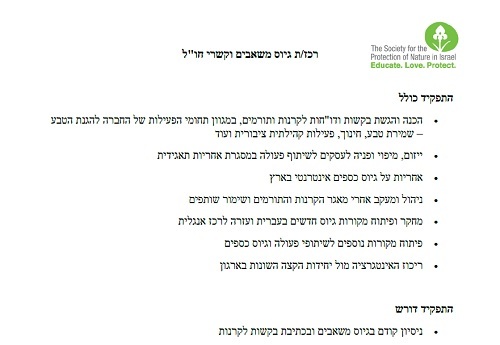 The Society for the Protection of Nature in Israel is looking for a new Development Associate. Candidates must speak Hebrew at a mother-tongue level and fluent English. The position is located at SPNI's main office in Tel Aviv, Israel.